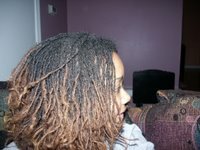 My journey from pressed and straight hair to the world of locks but not just any locks...Sisterlocks! After reading several blogs and seeing so many styles I decided it was time for me to do something a little different. I never really styled my own hair so this was an experience I was looking forward to. Sooooo, I decided to do the bantu knots the other night to see what the "do" would look like in the morning. I liked it but after sleeping on it I was back to freestyling. I spritzed my locs with water and was on a roll with the knots. Well, so much for something different...it looks the same except for a little curl on the end. I think it looks cute! Not every curling method works for everybody, all the time. Experimenting is key. Sometimes I like what I get from Bantu knots, sometimes I don't. Tried and true for me is always just a plain old twist out. I don't get much from a Bantu set. I have one on my site and it doesn't look that much different from my freestyle either (lol). 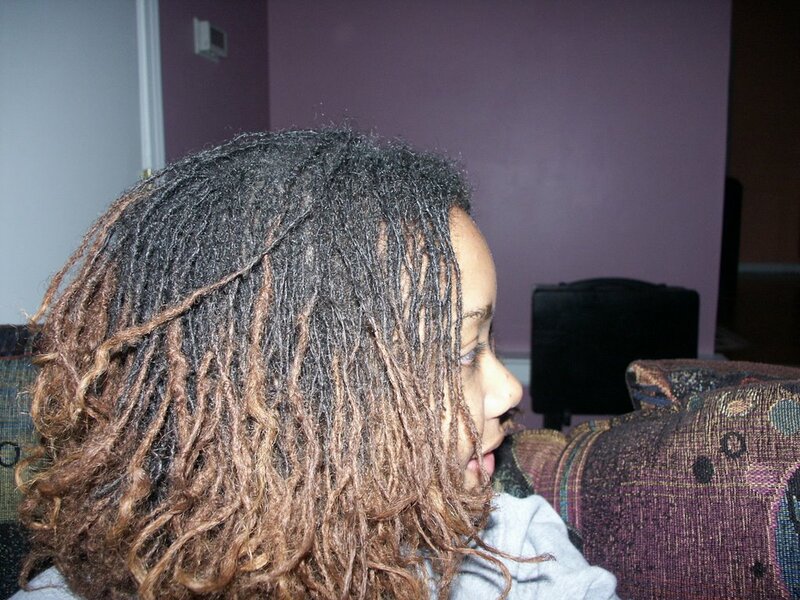 I do think the bend it gave your locs is cute though. 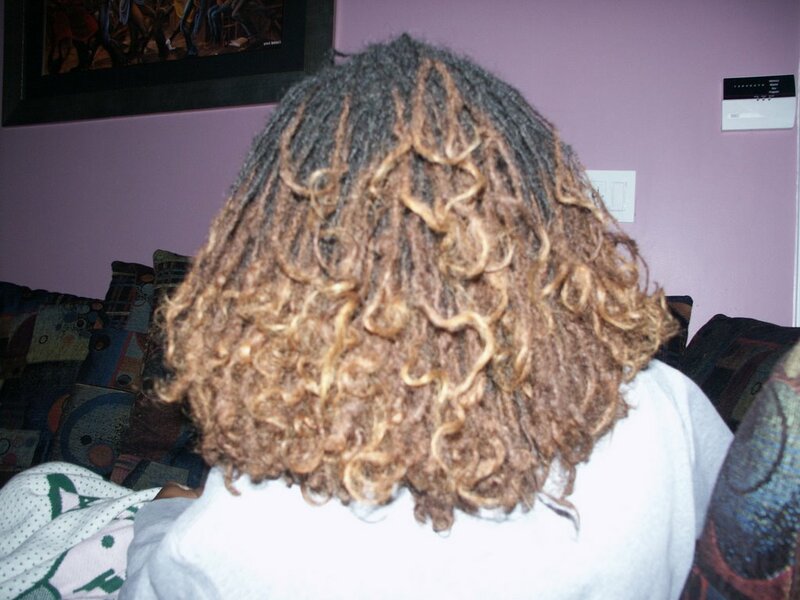 i think that you get the best set from bantu knots after a shampoo, because the locs have to be really wet. spritzing doesn't really wet them enough for the hair to come out curly. the downside to bantu knots is how tight they become once they start to dry and also how long they can take to dry. most people i know HATE sitting under the dryer, but if i don't my hair doesn't dry all the way and then all of my efforts are in vain because the curls don't hold. but your hair has lots of body in the photos and it looks great. you might also like the look that you get by washing your hair and then braiding it. 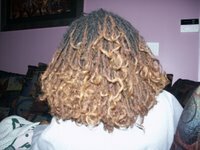 it produces a nice wavy look and is much less painful than bantu knots. The extra bounce and body is very lovely. I'm sure you will find you niche. I decided a couple of years ago to do something fabulous with my hair. 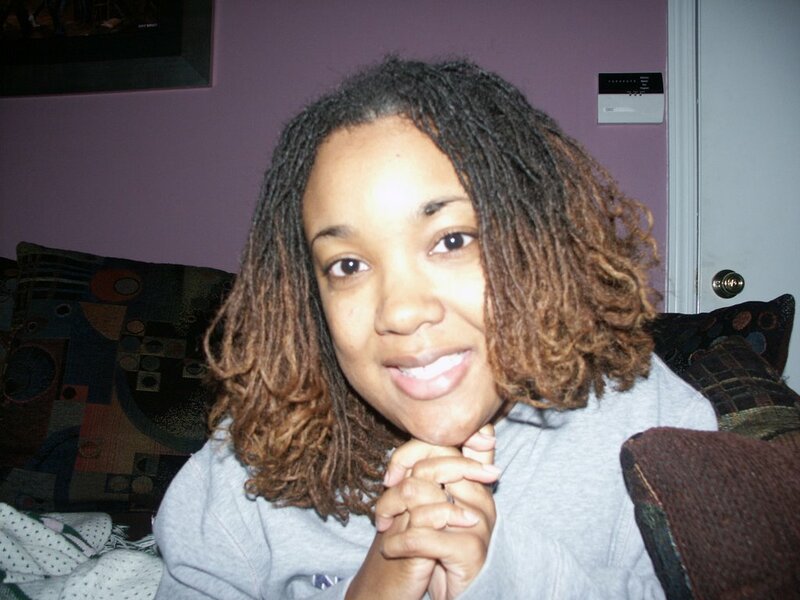 After moving to the humid and HotLanta from the cold and chilly Detroit my hair began to misbehave. It became uncontrollable. So I decided to go a different route. Yes, I locked my hair. No one could believe that I would do it...well almost 2 years later I am loving the natural, free, and oh so real Sisterlocks!